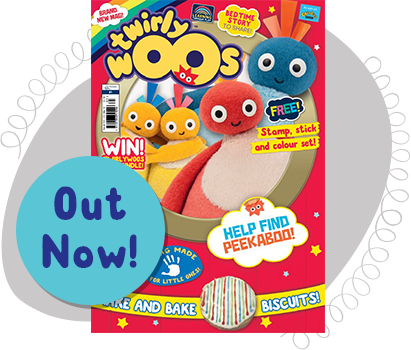 Twirlywoos magazine is a new 28-page magazine based on the hit CBeebies show, specially created for kids aged 2-4. It is based on the key values of the show – silly, fun and full of surprises – and is aimed at making pre-schoolers laugh out loud. 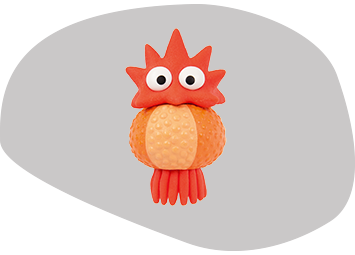 Each issue will be themed around an episode, and these episodes are based on Professor Cathy Nutbrown, educational consultant on Twirlywoos, schemas. Schemas are patterns of play that children repeat as they grow and develop. The contents of the magazine have been developed with the reader – 2-4 year old boys and girls – in mind. The magazine empowers the reader to complete activities and have the confidence to ask for help. Play, Imagine And Make A Mess! The innovative features encourage learning through play. There are no right or wrong answers in Twirlywoos magazine – just the space for children to read, understand and respond on their own terms. Silly, fun and full of surprises! The magazine’s features are engaging and silly. The humour that underpins the show will be evident throughout with the use of slapstick humour, silly activities and playing up on the characters’ quirks, such as Peekaboo hiding. 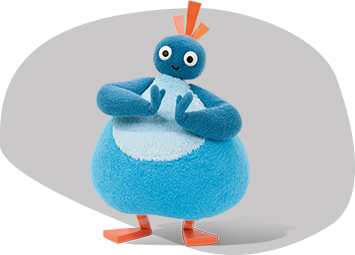 The biggest of the Twirlywoos, Great BigHoo has an inquisitive nature. He can often be found exploring new objects, and trying to find out how they work. His size sometimes makes it difficult for him to hide, but he is surprisingly strong. 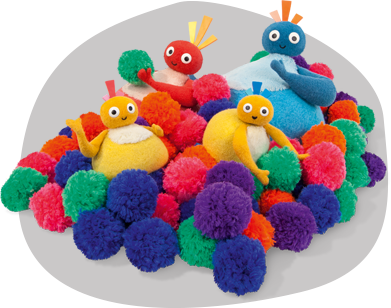 The middle-sized Twirlywoo, Toodloo is a flamboyant performer. She can often be seen singing and dancing exuberantly. She is impulsive and likely to dive head first into a situation. 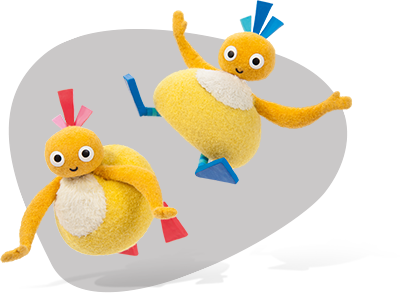 Chickedy and Chick are an inseparable pair of Twirlywoos who are always seen together. They move at great speeds, and are filled with a boundless energy and enthusiasm. 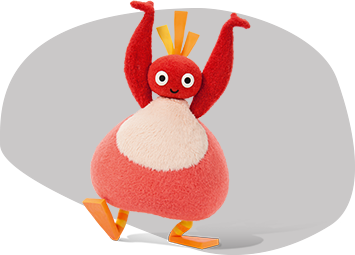 A mysterious creature who has stowed away on The Big Red Boat, Peekaboo keeps himself hidden from the Twirlywoos. 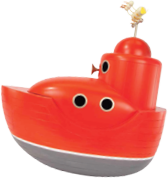 He hoards strange and interesting objects in his home in the walls of The Big Red Boat. 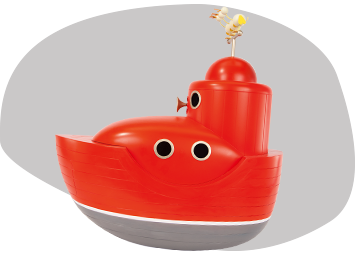 A safe haven from the day’s adventures, the boat has a plentiful supply of the Twirlywoos’ favourite Fruit Tea Machine and a host of secrets and surprise visitors. 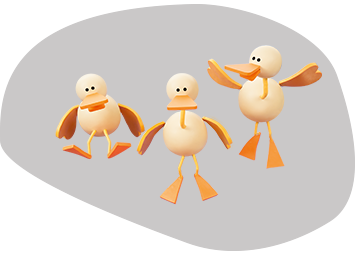 Perched on top of The Big Red Boat, the three Quacky Birds safely navigate the Twirlywoos through the water.